Following the snow on Pen Y Fan yesterday, I decided to cut my long weekend short and to head back to Cambridge on Easter Sunday, stopping at Black Mountain on the Welsh-English border on the way home. 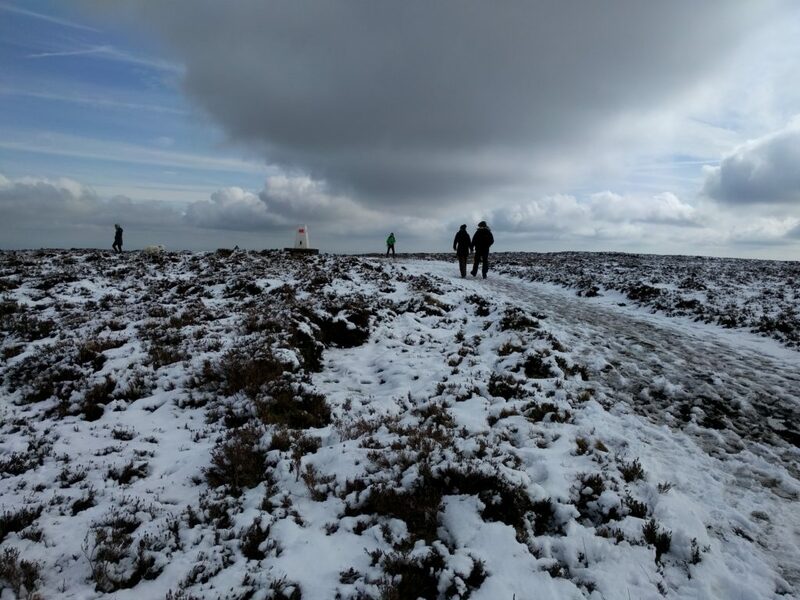 6-point Black Mountain is a lovely walk, which I last did just before Christmas. I shouldn’t have trusted my Sat Nav to get here from Cwmdu, however, as I seemed to end up on an awful lot of very small, minor roads, and a less direct route would probably have been more comfortable. Luckily, there was nobody much around early on Easter Sunday morning. After parking at NGR SO239372, there’s an obvious path up the hill towards the summit of Hay Bluff (not a SOTA). It was half-way up here, where the path from the car park meets a more major path at SO243368, that the path became quite icy and it was again time to get my YakTrax onto my shoes to give some extra grip. It’s towards the end of the climb to Hay Bluff that you reach the only moderately difficult part of the walk as the path winds between some rocks, doubling back on itself. It wouldn’t normally be a challenge, but the slippery conditions made it more so today. The summit of Hay Bluff, marked with a trig point, is where you turn South-East to head towards Black Mountain. The walk from here is almost completely flat with just a gentle rise from 677m ASL at Hay Bluff to 703m at the top of Black Mountain. Ordinarily, this path is quite boggy, but under a decent layer of snow and ice, it was possibly slightly easier to walk in today. The total walk took about 1h10 for the ascent and 55 minutes for the descent, for about 225m climb and 2.5 miles each way. 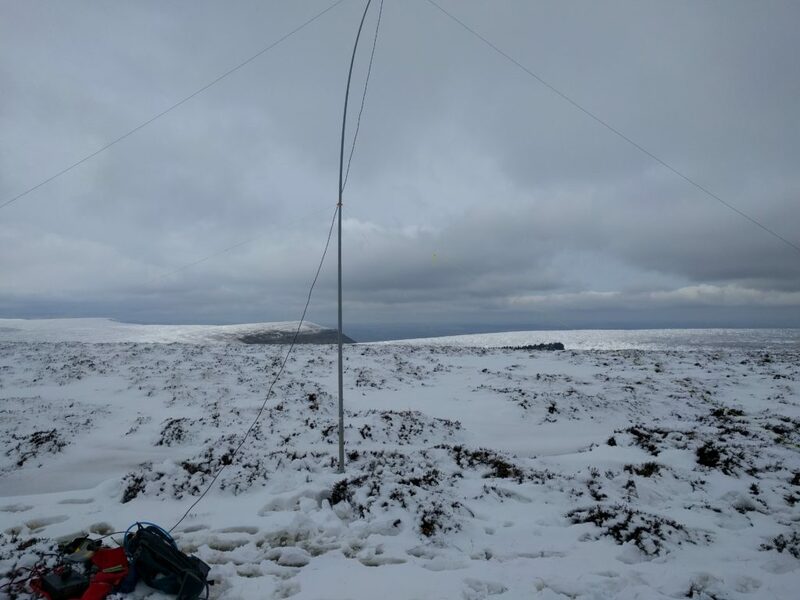 I stopped well inside the activation zone at SO255354, where the path was slightly wider and I could get space to set up the antenna without falling through the ice into a frozen bog. Despite calling on 2m, there were no replies, so all my 9 QSOs were on 30m CW. Once I was off the hill, I found an ice cream van in the car park, which I treated myself with after helping to push another car out of the very deep mud that was just off the gravelled spaces (getting myself very muddy in the process). It was then back to Cambridge.